Visuals aren’t everything when it comes to video games, but sometimes developers set the bar a bit too high when they first reveal their latest passion projects. A few games looked so good, that you could swear that they were in development for the next generation of gaming, never mind the PS4, and Xbox One. Things change though, as these games slowly lost their visual fidelity closer to the launch of the game. Things started to look a bit more dull, and although some of them still looked great, they did look better before. Here are some of the biggest visual downgrades in gaming. 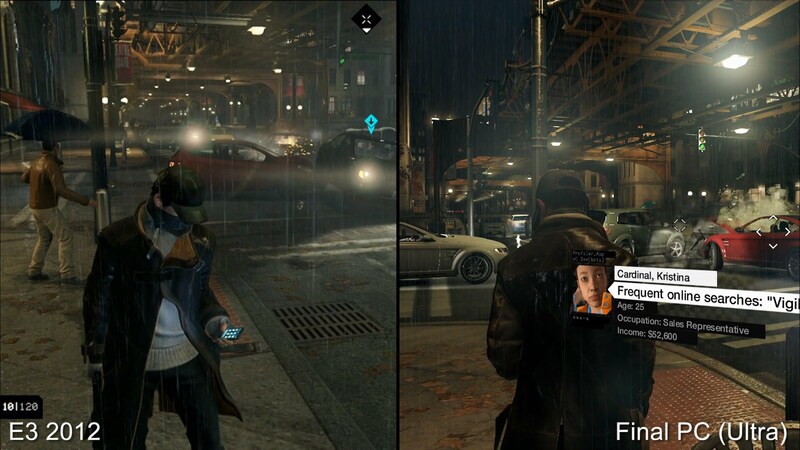 When Watch Dogs was first unveiled back in 2012, the game looked awesome, but there was this next-gen look to it that hinted that the game was in development for the next generation of hardware. It had this “advanced graphics” feel to it that made use of some intense textures, lighting effects, and cloth animations on Aiden. When the game was revealed for PS4 and Xbox One, it made sense. The only issue we had here was the game went from looking like something out of the future, to looking like a port PS3 port on the PS4. Dull world, uninspired visuals, and an overall downgrade from the initial footage of the game. It was not the Watch Dogs we were introduced to. Final Fantasy XIII was in development for a few years, and during this time period it went through various gameplay and visual changes. From the initial reveal trailer, to the launch trailer, you can drastic differences in the games overall look and feel. Many blame this on the port to Xbox 360, in which Square Enix had to heavily reduce the game’s graphic details to fit onto the console. The game was a PS3 exclusive at first, and was revealed to be an Xbox 360 title too, a year before launch. We can see various changes in visuals, as well the main protagonist of the game getting tweaked too. 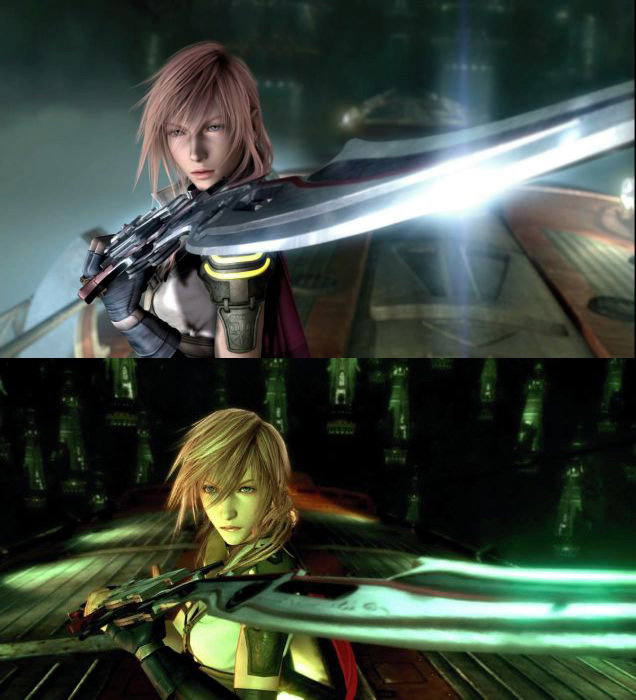 Lightning’s face changed drastically from the initial reveal to launch trailer. The game still looked great at launch, but it looked better initially. The problem with the Dark Souls II downgrade was not that it was a huge step down, but rather it took the game from looking like something out of the future, and landed it in the past. 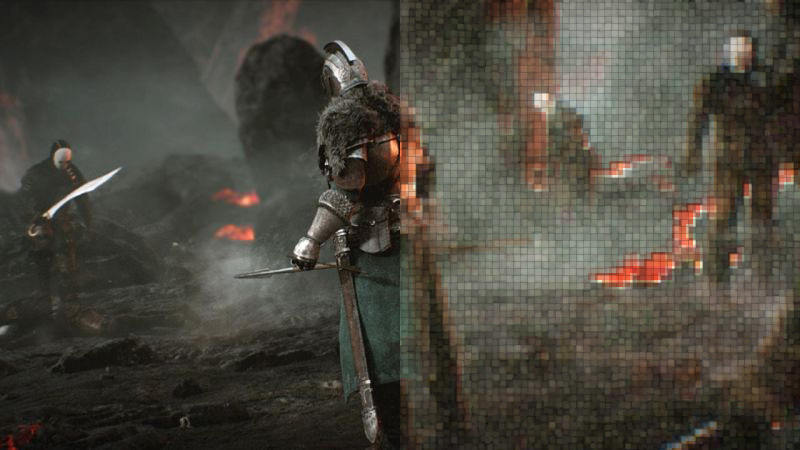 The initial Dark Souls II trailer showed off some stunning footage of the game. The biggest engine feature was the superb lighting system that the game used to bring the world to life. What we got with the final release was a washed out world, with no realistic lighting, lack of detailed shadows, and an overall bland look and feel. Although the game is one of the best in the series, its graphical downgrade could not go unnoticed. When the game was ported to PS4, and Xbox One as an “enhanced” version, it still did not come close to what we saw in the reveal gameplay trailer. Oh Ubisoft, what are we going to do with you? While games like Assassin’s Creed Unity, and Far Cry 4, did not get bumped down as much as other titles, one cannot ignore the drastic changes that come with Ubisoft’s games. One of the most memorable ones from recent years has to be Rainbow Six Siege. In the reveal trailer we see a game that has identity. Its night time scenes are dark, with lamps in the distance impacting the area around it. Water on the guns as rain falls from the sky, and flashlights being vital to the game’s overall lighting effects. What we go in the final game was something else. The game had a global light that eliminated the overall dark look and feel to the game, as well as changed the feeling you got from playing in the day and night. It resulted in a washed out experience, with dull colours, and poor lighting effects. The Witcher 3 might be one of the greatest games of this generation, but its initial reveal footage looked stunning, and better than the already-flawless final game. The final version of The Witcher had a much lighter tone to it, with brighter colour palate. The initial reveal was much darker, and looked stunning. The game is the only game on this list to actually hold up to a great final release, as although it was heavily downgraded, it still looked fantastic. 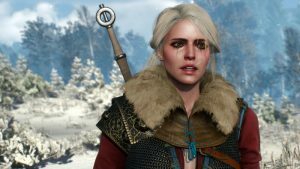 It was not until late in the game’s release that CD Projekt RED, the guys behind the masterpiece, released a patch for the game that enhanced the games visuals to a new standard. Cities were more vibrant, and draw distance was enhanced. Still, it did not beat the initial showcase, but it was a great effort. How badly can you downgrade a racing game? 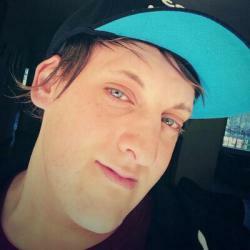 Well Microsoft proved that anything is possible. At the initial Xbox One showcase, Forza Motorsport 5 was one of the best looking games on the console. Sure, its release model was up to standard, but you don’t see the major differences in the game until you put the two copies side to side. Everything from the foliage, to the spectators saw a massive downgrade in visuals. 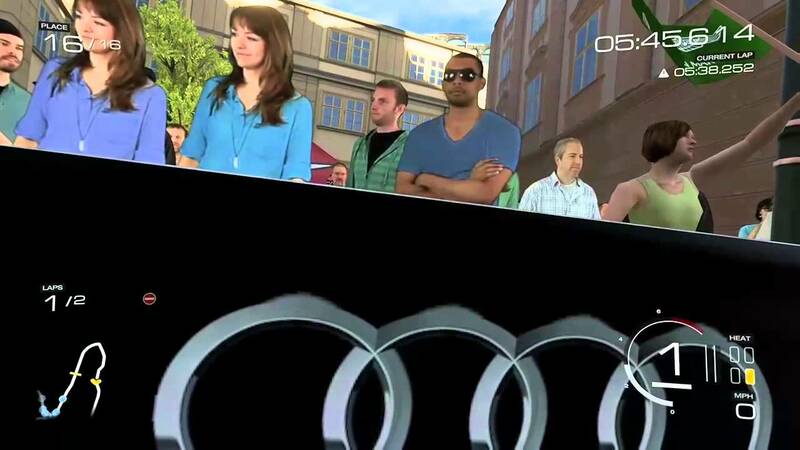 Car paint was less impressive, spectators were cardboard cutouts instead of 3D models, and the lighting system saw an all-round drop in fidelity. It was a benchmark game that looked great for its time, but it was very different from the Forza 5 that we saw in the first place.